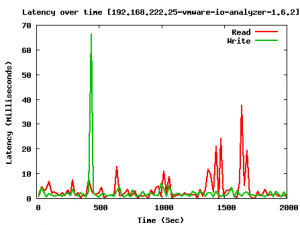 Using synthetic workloads to test drive PernixData FVP might result into odd findings. The most meaningful approach to test FVP is to deploy the software to production in monitor mode, let Architect do its magic and enable acceleration after checking the recommendations after a couple of days. Despite it is possible to deploy FVP, test drive, and remove it, without any downtime to virtual machines, this approach might not fit to all environments. If you have separate DEV/QA environments with sophisticated load generators, the solution is obviously. 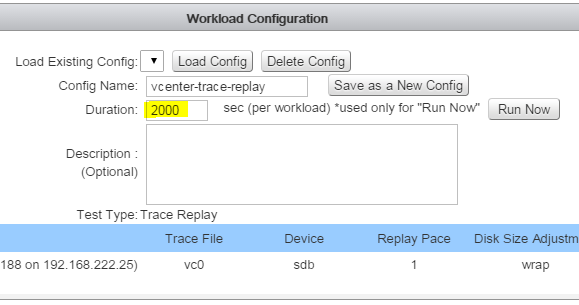 If you don't have that, there is another option by record production I/O traces and replay them in a FVP accelerated test platform. vscsiStats is a tool for storage profiling that is available since ESXi 4.1. 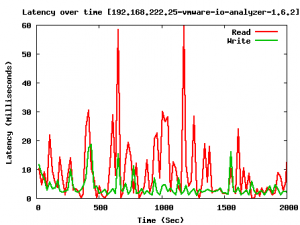 It collects and reports counters on storage activity at the virtual SCSI device level. VMware I/O Analyzer is a well-known virtual appliance than can not only generate synthetic IOs but also replay traces recorded by vscsiStats. Pick a Virtual Machine that is running the workload you want to record and locate the ESXi host where the VM is running. Wait at least 30 minutes to collect data. Now you have a defined Workload that can be tested with, and without PernixData FVP. Replay the workload at least twice, with and without FVP to see the difference. You can run it a third time to see better Read Cache results. Resize the 2nd Virtual Disk of the I/O Analyzer Appliance. This is a very important step because the default working set is far to low to get good results. Start I/O Analyzer (Console Login root/vmware), navigate to the Workload configuration and add the ESXi Host running the Appliance to the configuration. Acceleration was done with a cheap consumer grade SSD so the values are lower than you would expect it with an enterprise grade SSD and a better backend storage. 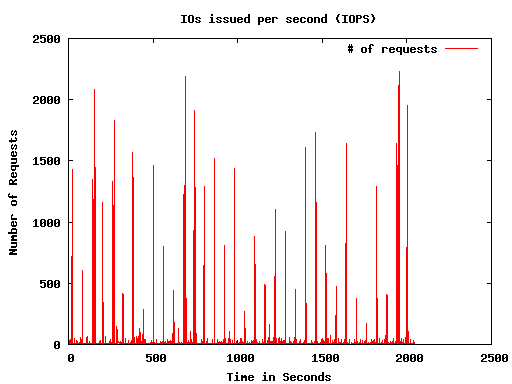 Also the cache was cold, so the read latency spikes were caused by the storage.